Just using an anti-dandruff shampoo is not enough to treat dandruff ridden scalp. What you would also need is an anti dandruff hair conditioner. 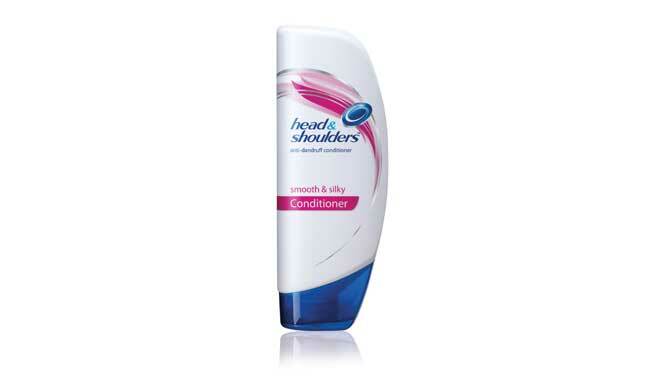 Most anti dandruff conditioners are meant to be applied on the scalp too. They gently coat the scalp to prevent it from flaking and fight dandruff even after your hair wash. So if you are looking for a lasting remedy for your dandruff, then it would be a deep oil massage, followed by shampooing with an anti-dandruff shampoo and finishing it off with an anti-dandruff conditioner. 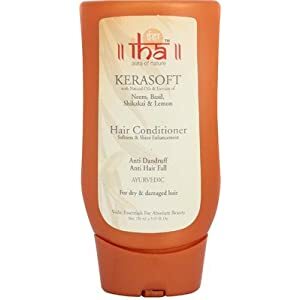 While dandruff shampoos are popular, the conditioners not so much. So here we give you our picks of the best anti dandruff conditioners available today. Well beauties, is dry and frizzy hair giving you sleepless nights? The new Head & Shoulders Smooth & Silky Conditioner is here to rescue. Just one rinse is enough to make your mane smooth and silky – well, this is what it claims. However my experience says, it will take little bit of more time (3-4 rinses) to get the desired results. It has added moisturizers to tackle dry and frizzy hair along with anti-dandruff properties which will give you a clean and health scalp. It’s powered with gentle pH balanced formula for regular use and you can go for it even if your hair is color treated. This is again a scalp conditioner. Dove Dandruff Care conditioner is enriched with ZPTO or zinc pyrithione which helps in removing dandruff from the hair. It is enriched with micro moisture serum technology that helps in keeping your hair soft and smooth. Price Rs. 139 for 180 ml. The Dandruff Control Conditioner from VLCC is enriched with rosemary which is anti-microbial and protects you against scalp infections. It also contains menthol that soothes the hair and refreshes it. Use it after every shampoo for dandruff free hair. Price Rs. 105 for 100 ml. The Sunsilk Anti-Dandruff conditioner is enriched with citrus cream and ZPTO that helps make your hair manageable. Its creamy consistency helps you easily spread it over your hair after shampoo. For best results use with Sunsilk Anti-Dandruff Shampoo. Price Rs.165 for 180 ml. This herbal conditioner is infused with neem, tulsi, shikakai, kapurkachri and lemon extracts. It is anti-microbial and helps fight dandruff and prevents hair fall. Massage onto hair after rinsing the shampoo off to get shiny and dandruff free healthy hair. It is priced at Rs.120 for 150 ml. Shahnaz Husain’s herbal formula with Brahmi, Amla and Arnica helps in restoring the pH of your scalp and also preventing it from scalp infections, making it a perfect solution for dandruff prone hair. Use it by mixing it in some water as the last rinse after shampooing your hair. You will find your hair revitalized and healthy. Price is Rs. 525 for 100 ml. The conditioner with an energizing scent gently cleanses and awakens the scalp. The cooling mint revives the oily hair and purifies the scalp and works with the scalptherapie complex in the conditioner to fight dandruff and relieve irritation. It is priced at Rs. 285 for 200 ml.